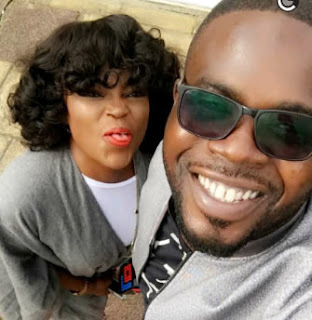 Funke Akindele was in for a pleasant surprise when her hubby, JJC Skillz arranged for lots of gifts to be brought to her at their new home on Christmas Day at Amen estate, Lagos. “Part 1: So we got the famous call from @jjcskillz earlier this month to put a smile on Wifeys’s face for Christmas. He went on about how she is hardworking and wanted to make her smile for Christmas, Love is such a beautiful thing when you are with the right person the love between you 2 shall never die in Jesus name. Does not have to be any occasion before you show love to your loved ones, at Royal Hugs we help package and deliver luxury surprises anywhere in Nigeria. I remember asking @funkejenifaakindele If we could post the video, she said to me, if her husband says it is OK, talk about a submissive and virtue woman. So this was very romantic and thoughtful of you @jjcskillz God bless your home in Jesus name . Would be doing a part 3 later in the day.